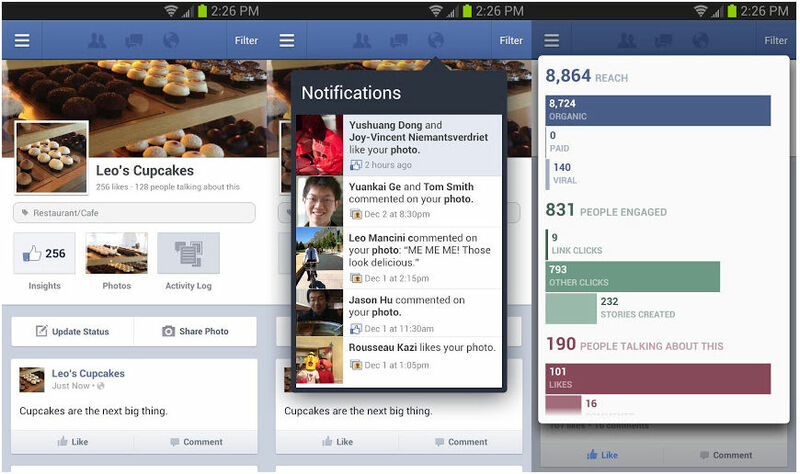 Facebook Pages Manager, the mobile app for managing your Facebook Pages on the go is finally being released for Android. Already available on iOS, Pages Manager allows page administrators can post updates, photos, and respond to comments, as well as view and respond to private messages sent to the page and monitor page insights. According to a Facebook spokesperson, the company launched Pages Manager for Android Thursday in Canada, Australia, and New Zealand. Users in the U.S. and the U.K. can see it, and it will be available to them soon and other countries should follow.